For example, a common problem with these devices is the accumulation of dust – what’s worse is that it can build up on the inside as well. 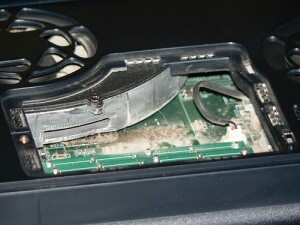 It may not be noticeable in the beginning, but if you notice your netbook overheating a lot more commonly than it used to, maybe it’s time to undo those screws and clean the dust from around the fan. Never take out the fan itself though – damaging it could cost you dearly as it’s sometimes difficult to replace. Don’t even think about doing something like oiling it – this will never end well. Just blow all the dust from around it and close the netbook. The more experienced among you may find it a good idea to replace the thermal paste on the heatsink every now and then, but unless you really know what you’re doing don’t go for that. Also, consider how you’re using the netbook as well – if its fan hole is on the bottom, never lay it flat on a soft surface, like your bed. This would suffocate it and prevent it from cooling properly, degrading the quality of its cooling in the long run.